“On three and we’re all doing a flip off of the balcony into the crowd! 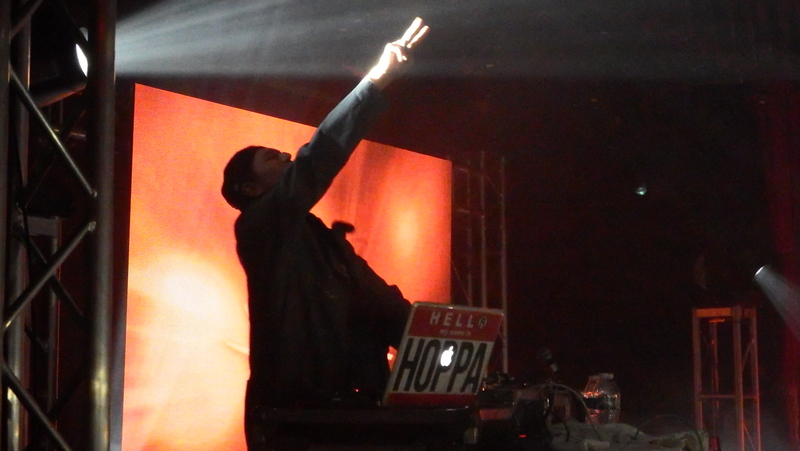 One, Two, Three!” That was the scene in the height of Hopsin’s set for the 2015 Funk Volume Tour in Denver. As the countdown ended and the artists flung their bodies through the air and into what they hoped was a safety net of fans, the crowd surged with anticipation as they hit the arms of the crowd and made their way back to the stage. Over the past couple of years, Funk Volume has grown to be one of the biggest labels in the independent hip-hop industry. Founded back in 2009 by Hopsin and Dame, the label has seen tons of growth since its inception and signed huge talents like Dizzy Wright, Dj Hoppa and Jarren Benton in the process. This was a huge year for the label, as everyone except for Swizzz has released a new project this year and fans have received them all very well. Jarren Benton released the EP Slow Motion, Dj Hoppa released Hoppa and Friends, Dizzy Wright dropped The Growing Process, and finally Hopsin dropped his highly anticipated follow up to knock madness, Pound Syndrome. On Pound Syndrome, Hopsin has a song about a specific night in Ft. Collins, Colorado in which he skipped out on a show, due to this very personal aspect being spoke on in the song, it was only right that the Funk Volume not only give two free shows in Ft. Collins but also make two back to back shows in Denver on September 19th and September 20th for their huge 2015 Funk Volume Tour. The crowd was packed in tight and by the end of the night, the first show was completely sold out. A unique touch that they added to the tour was a skit that would introduce each artist to the stage, usually lasting about 3 minutes or so. It was a different way to get the crowd pumped for the artist and seemed to lighten the crowd up a bit at the same time. Jarren Benton was first up on the list and started the night off with his high energy and crazy antics. Since there were no local opening acts the crowd was fresh and rowdy for the show to begin and had a warm welcome for Mr.Benton. Some of the songs in the set were from his brand new project, the Slow Motion EP, including the singles “Alladat” and “You Don’t know Me”. He also dropped a few tracks from his previous projects including “Cadillac and Chevy’s” and “Billion Bucks”, which the crowd went crazy for. Benton performed with a very talented band instead of the common DJ set up, which added even more excitement to his set. Next up on the list was Dizzy Wright, and the fan favorite DJ Hoppa, who graced the stage to keep the crowd warmed up between sets and prepare for Dizzy. Following his comedic sketch, Dizzy came out blasting his hit single “State of Mind”. A lot of the set was composed of songs from The Growing Process, however, he also played a few throwbacks like “Solo Dolo” and “Can’t Trust Em”. The crowd was going wild for Dizzy which probably had a little something to do with him being the most weed friendly rapper on the tour and being in the very pot friendly city of Denver. 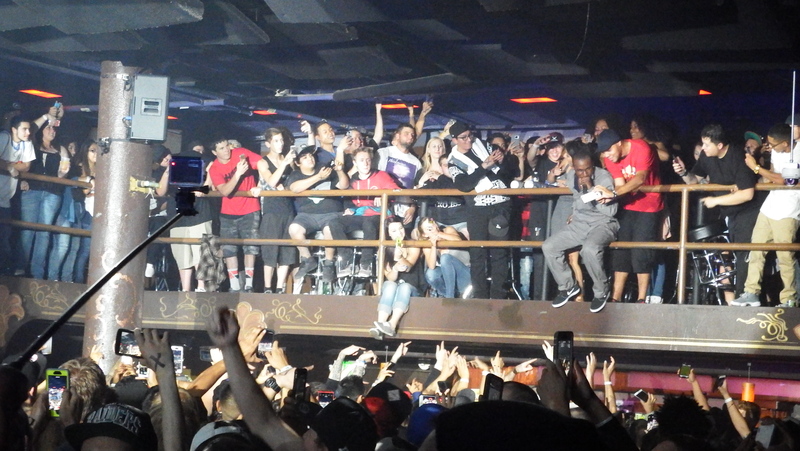 At one point during “Turn Up”, one of Dizzy’s bangers, he jumped in the crowd and proceeded to rap his entire verse while standing on top of the crowd. Towards the end, DJ Hoppa dropped some of Dizzy’s signature smoking songs and the room suddenly got very smokey as “Don’t Ever Forget” blared through the venue. 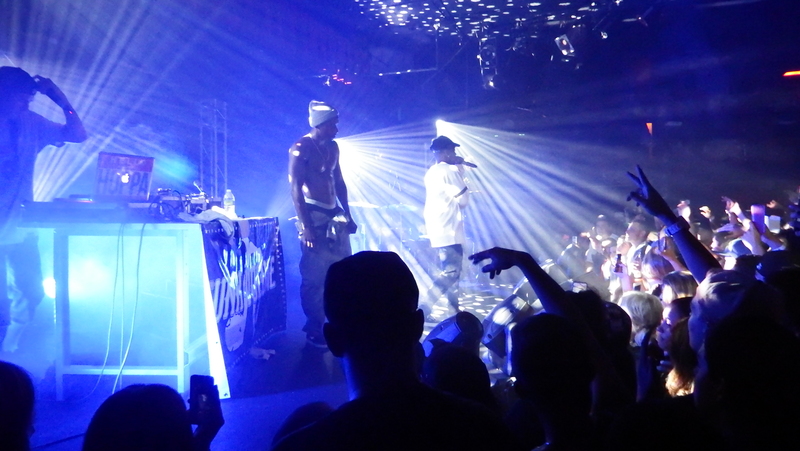 To cap off the night, Hopsin delivered the headlining act and played a mix of new and old songs throughout the set, a lot of which were from his new album. 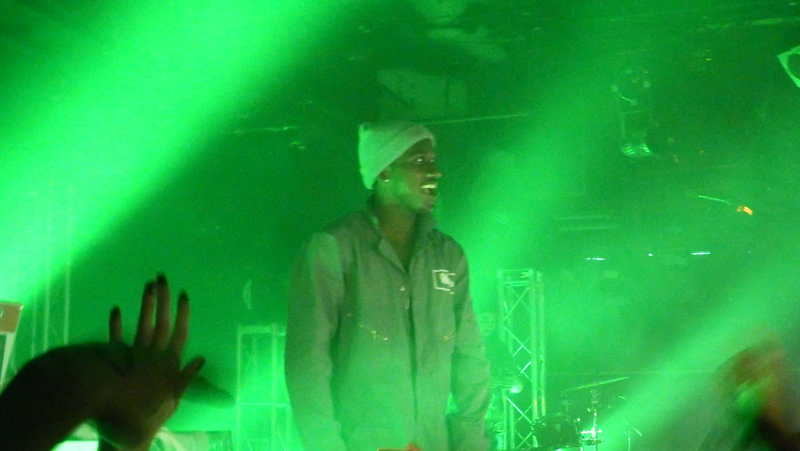 The crowd response was good and Hopsin’s usual diehard fans were out in full at the show. The best energy responses were from “Sag My Pants” and the insane flip stunts performed to “Trampoline”. Crowd surfing was successful the whole night and the crowd continued to rage past the midnight hour. After a small introduction referring to his past incident, Hopsin dropped “Ft. Collins” and the crowd fell silent as he poured his thoughts and emotions out onto the stage. 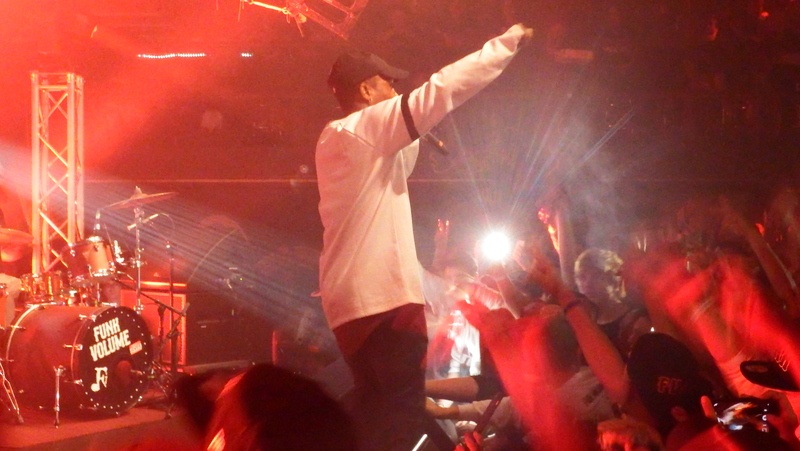 The set was capped off by the touching and thought-provoking hit singles “Fly” and “Ill Mind of Hopsin 7”. The show was a resounding success and everyone on this label is not only a talented artist but also great performers as well, and in today’s industry that’s sometimes hard to come by. Tickets for the rest of the Funk Volume tour dates can be found here, so check them out at their next stop in Billings, Montana and then in Bismarck, North Dakota.